April 5, 2016 March 12, 2016 / Elizabeth T.
Hello loves! As promised from last time’s January 2016 Birchbox post, I’m back, and this time, I wanted to share with you all the products that I received from Birchbox for February! 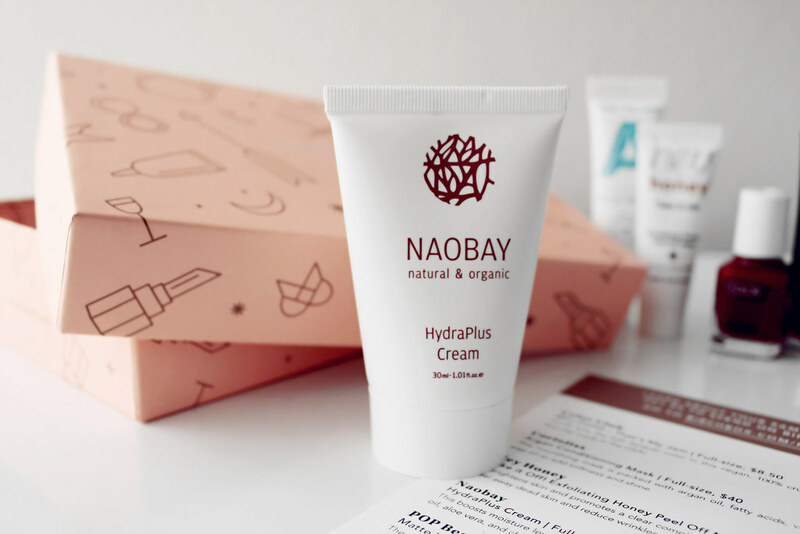 Because February is the month of all things heart, chocolate, pink, and red, this month’s Birchbox was no different, with skincare and cosmetics products that are more appropriate for Valentine’s Day or a fancy date night. First up is this mini polish in the color “That’s My Jam” from Color Club. I’ve always loved doing my own nails because I feel that it can actually be quite relaxing, mainly since I’m so focused on completing that one task on hand. This brilliant bright pop of red definitely makes this nail polish very appropriate not only for February, but also for the fall as well, especially since the color of this polish is so vibrant and bright, which can also work for the spring. 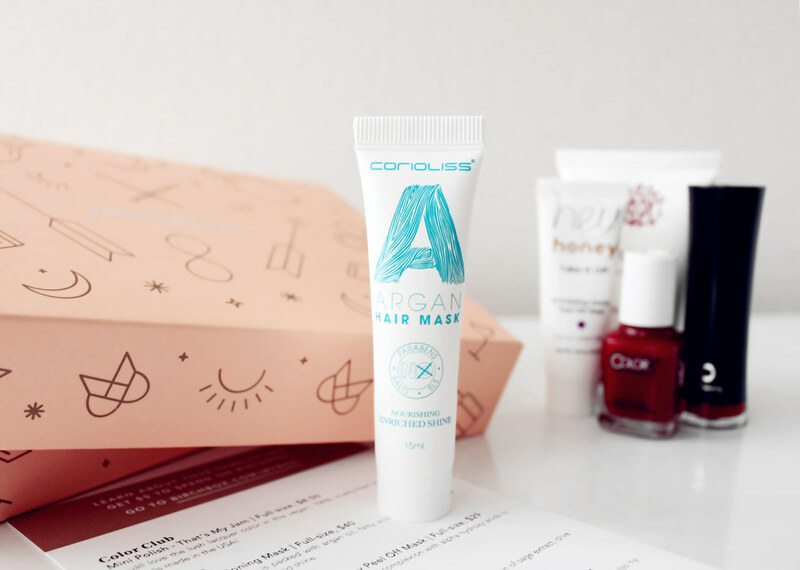 Following this nail product, my February 2016 Birchbox also included an Argan Conditioning Mask from Corioliss. The mask is super nourishing, and is packed with argan oil, fatty acids, vitamin E, and tea tree oil to help add softness and shine. I’m always open to try new masks because I know how beneficial they are to the skin 🙂 This item will definitely be on my list of items to try for next month! And since we’re on the topic of masks, I also received the Take it Off! Exfoliating Honey Peel Off Mask from Hey Honey 🙂 I’m so excited about this mask because I’ve heard so many great reviews about it, and how it helps to brighten the skin and promote a clear complexion with alpha hydroxy acids, which help to peel away dead skin cells and reduce wrinkles. I think my mom will also be a big fan of this mask as well, and if she does like it, I’ll definitely be investing in a full sized version of this, since we’ll be sharing! Looks like you got a lot of amazing goodies 🙂 I nominated you for the beauty blogger award. Yes, I’m super excited about them too! Thanks so much for stopping by Helena! they all look like amazing products! looks like you received great products! I would love to try that honey mask! Wow! So many cool stuffs in that box! I love the “Hey Honey” brand! 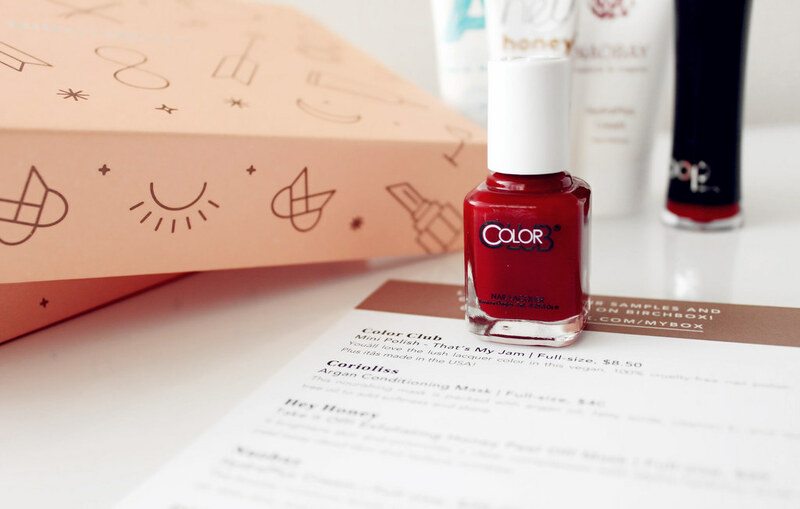 I got a “Hey Honey” peel in a Glossybox once, and I loved it! Thanks for sharing!